Nama comes back with great harvest from SEMA 2018! Along with the escalation of the trade war between China and America, the trade war tariff, AD and CVD have been big obstacles for tire business between China and America. How to serve our customers in America well and keep them safe from the trade war? 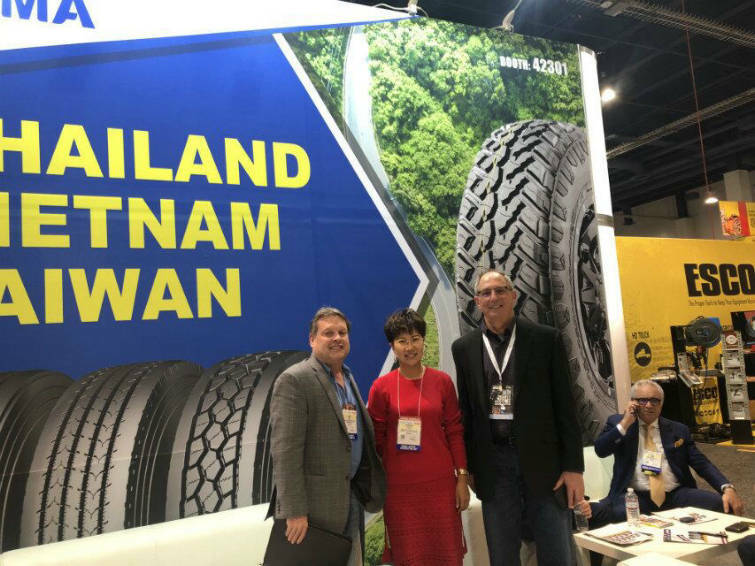 We, Nama bring our tires made in Vietnam and Thailand to SEMA of 2018! We show our customers the solution to the question that they are facing to. There we received many enquiry from the show and good feedback. We cooperated with the A-list tire manufactures to produce our tires in Thailand and Vietnam. We have very good quality PCR made in Thailand now could be supplied to customers with fast delivery lead time, wide range line for PCR with no ATD&CVD available for customer choice. 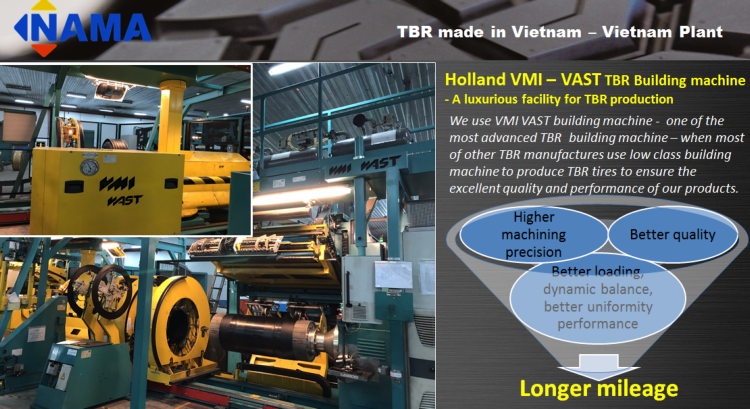 Nama tire is lucky because we invest TBR production line in Vietnam from 5 years ago, so we can produce and supply NAMA brand TBR from Vietnam, there is no extra tariff, no anti-dumping, no Anti-subsidy and no retroaction risks. And meanwhile, there is anti-dumping duty on Chinese original TBR tires in Europe market, so our Vietnam TBR range is very hot and in short supply. In order to make our tire line complete and perfect, our Thailand TBR line is also in trial-manufacture now. Within a few months, Nama will supply our customers most popular sizes in American market. 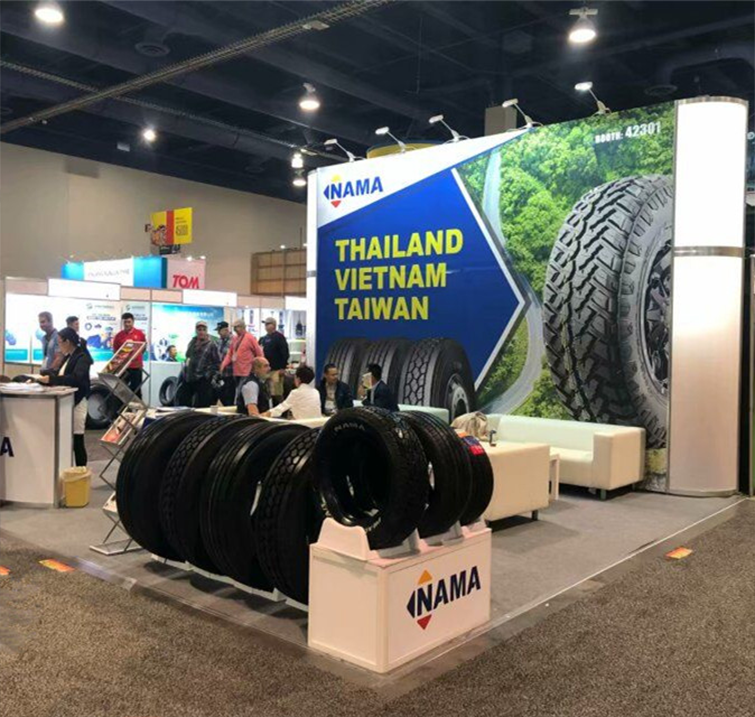 In word, Nama will continue to do our best to serve our customers with our responsibility and passion to tires, no matter where our tires are from, China or Vietnam or Thailand.